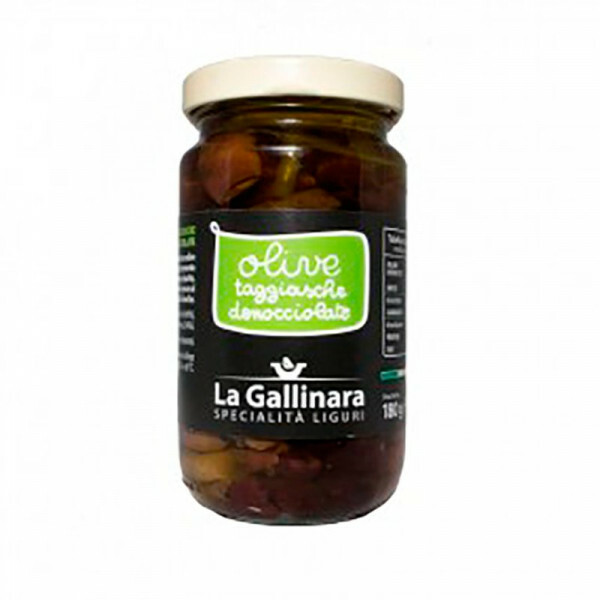 The small and tasty olives from the west of the Ligurian Riviera add flavour to every dish. Perfect if added to oven baked fish and poultry. These black olives, grown above the Mediterranean in sunny Liguria, are stored in their own oil, and have a clean, true olive taste that is incomparable. Already pitted, the olives are wonderful to eat as part of an antipasto spread, or to use in pasta sauces, meat, fish or poultry dishes, or on sandwiches. Ligurian (taggiasca) olives (66%) extra virgin olive oil (34%) No preservatives and colorants.